The dog days of summer have finally arrived in central Virginia. Love &apos;em or hate &apos;em, they&apos;re here to stay for at least a few more weeks. Of course that means there&apos;s no shortage of heat, humidity, and the inevitable sky-high electric bills. Besides the heat, there&apos;s something else that is quite abundant at this time of the year. In fact, these particular treats reach their peak during the hot summer months. What could this sweet, succulent, summer-loving delight be? If you guessed the almighty peach, then I&apos;d say your guess was just...peachy! Bad peach puns notwithstanding, what&apos;s not to love about this fuzzy little fruit? They&apos;re sweet. They&apos;re good for you. They&apos;re versatile. Plus, a band even wrote a song about them in the &apos;90s. 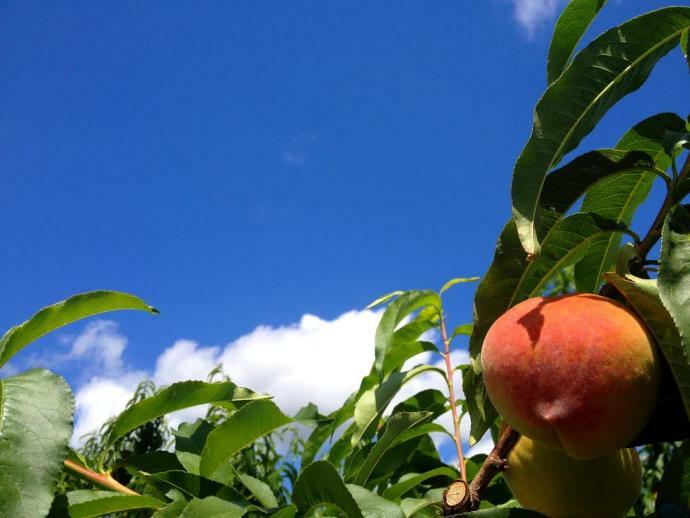 "Movin&apos; to the country, gonna eat a lot of peaches," is a lyric you might remember from this popular song by The Presidents of the United States of America. In their song, the peaches (gasp!) came from a can. If you ask me, our fuzzy friends deserve better treatment than being incarcerated in a metallic prison. Luckily for us, we don&apos;t even have to think about going the canned peach route because they&apos;re readily available at several nearby orchards across the region. Henley&apos;s Orchard and Chiles Peach Orchard are both located in Crozet, in the western part of Albemarle County - just a short, scenic drive from Charlottesville. 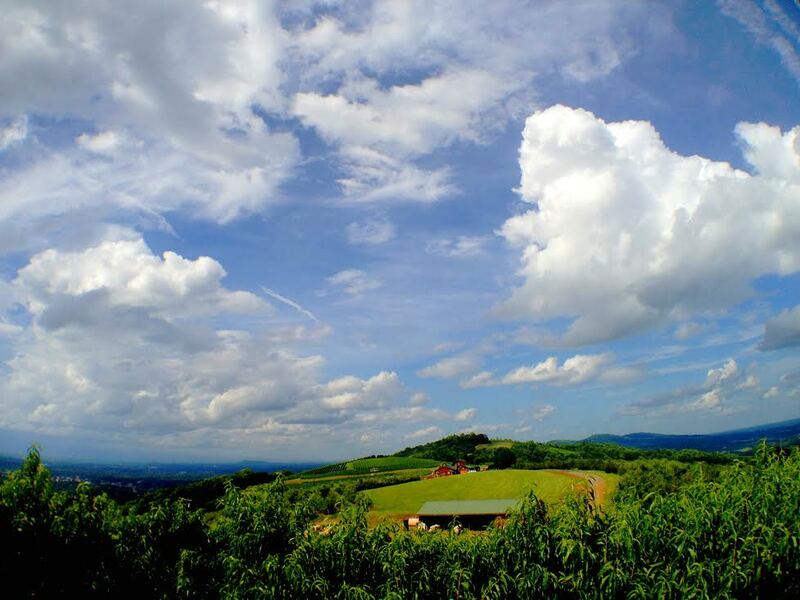 If you want to stay closer to Charlottesville, Carter Mountain Orchard is a fan favorite, not only because of their delicious peaches, but because of their sweeping views of Charlottesville and the mountains in the distance. The orchard is located on top of a mountain, so the views don&apos;t get much better than this. See what I mean? I told you the view was pretty special! While you&apos;re up there soaking in the breathtaking views, you have the option to pick your own peaches. That&apos;s right, you can pluck them straight from the orchard, which will guarantee you get precisely the peaches your heart desires. You likely won&apos;t be able to stop at just one or two, so you might as well grab a big basket to help transport your massive haul. Now that you have all of these peaches in your possession, you&apos;re faced with the dilemma of what to do with them. As it turns out, this really isn&apos;t much of a dilemma at all. If you&apos;re like me, you may just start chomping away at them right there in the parking lot, causing peach juices to fly and onlookers to gawk in amazement at the spectacle. Of course, if you prefer a more civilized approach, there are plenty of things to do with these fruits of summer once you get them back home. It&apos;s hard to top a fresh peach cobbler, adorned with a nice scoop (or three) of vanilla ice cream. Speaking of ice cream, did I mention it&apos;s summer and it&apos;s hot as the blazes outside? Why not dust off the trusty ice cream maker and have some homemade peach ice cream? That&apos;s one way to beat the heat and I guarantee your cold, creamy creation will disappear in no time at all. Of course, you can also take a more simplistic approach and slice up a few peaches and enjoy them in their own element. Let the natural flavors of the peach shine through. Savor the simple sweetness. Allow yourself to be plunged into a state of pure peach pleasure, but be sure to remember that their time here is short-lived. As summer slips away from us and the cooler weather begins to settle in, our peachy pals will start to fade into the sunset. And if you ask me, that&apos;s really the pits. I promise, that&apos;s the final peach pun. What&apos;s your favorite way to enjoy a fresh central Virginia peach?